I am sitting in a cyber cafe in downtown Accra, the capital city of Ghana. Although New Year’s eve was two nights ago, and despite the limited visual effects in broad daylight, I can still hear fireworks outside. As I am writing on computer 13, I am trying not to scratch mosquito bites on all four limbs. In recent weeks I learned that tiger mosquitoes are the #1 threat to mankind on this planet. Eat your heart out Kim Jong-un. One thought that reliefs the itch is that I have cycled 10.203km since July! So what happened since the last post? I decided to change the route for the coming weeks, and I booked a flight to Addis Abeba (Ethiopia). 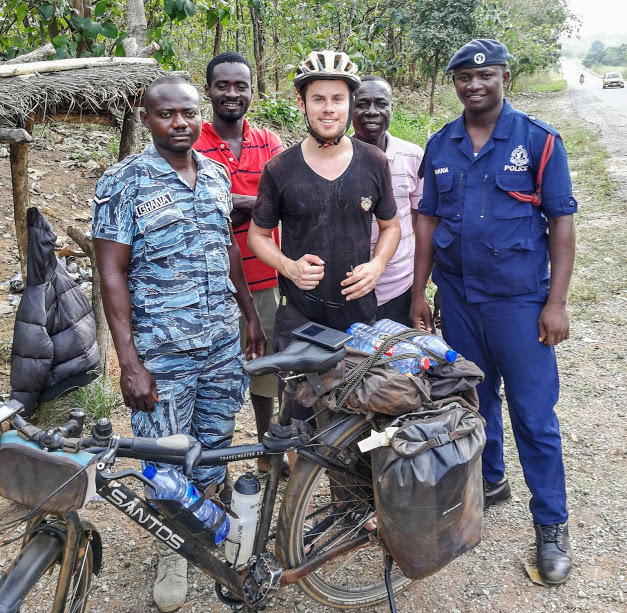 I was pulled over by Ghanaian police over ten times. 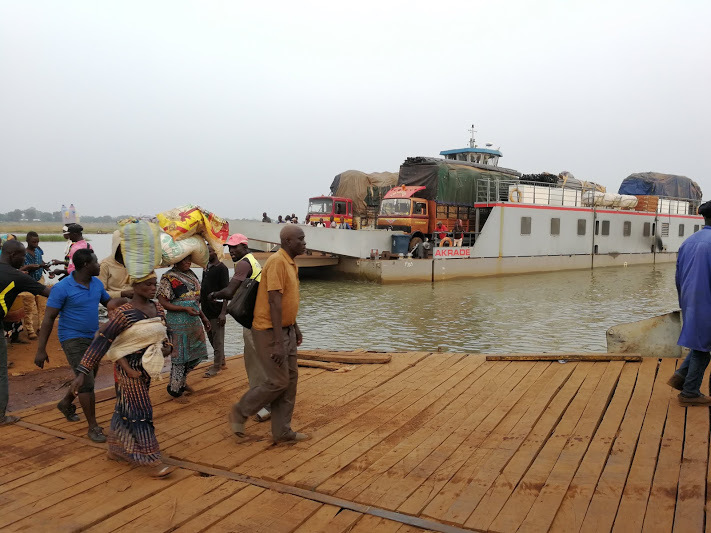 I took a boat to cross lake Volta. I had lots of bananas. 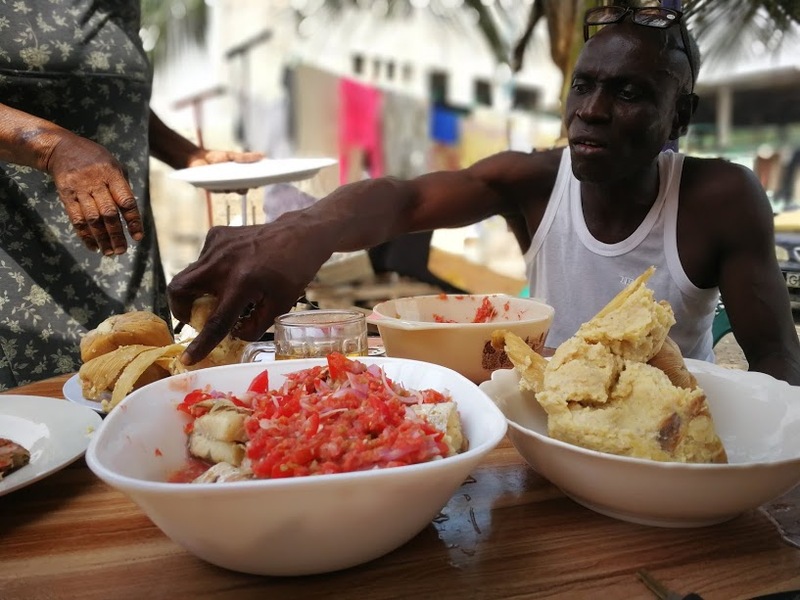 I stayed with the Oppong family and learned about fufu in Kumasi. I went to church twice on Christmas eve. 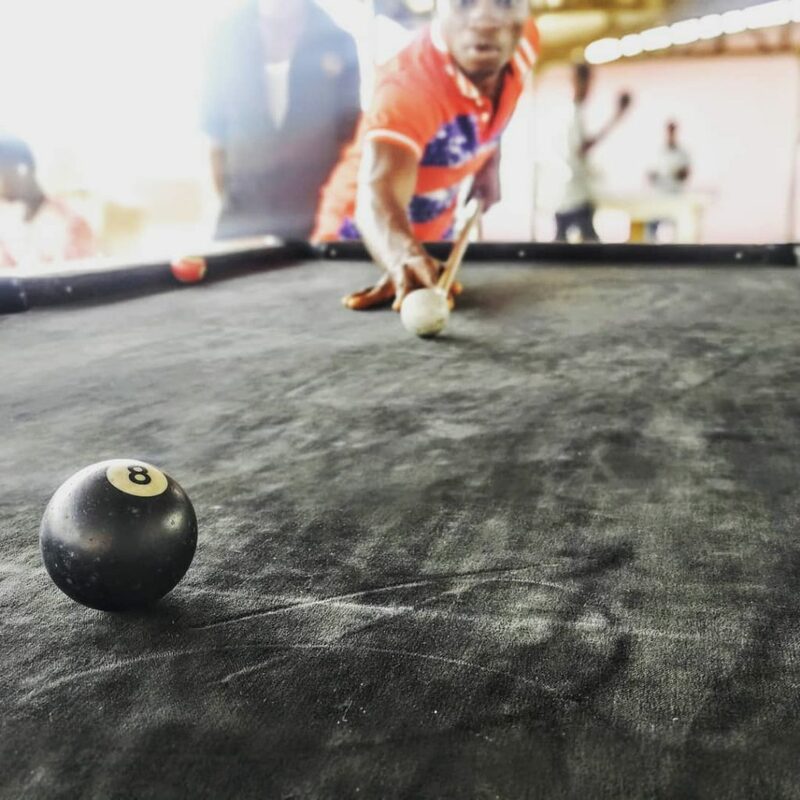 I hung out with gold miners in the Ashanti region & I was beaten at a game of pool. I ate kenkey with an ex-Nottingham forest player. I finished the West-African leg of my journey. Since the last post, I decided to change the route for the coming weeks/months. David, who was planning to join me in Congo DRC is going through some personal issues. Therefore, he can no longer join. Because of this, and because of political violence following Kabila’s refusal to cede power, I have decided to skip that part. It breaks my heart. I was looking forward to see “le fleuve“. I will add some extra kilometers in Ethiopia to make up for this. From Tamale I cycled further South. I was ahead of schedule, so I purposely scanned the map for the most fun way to Accra. 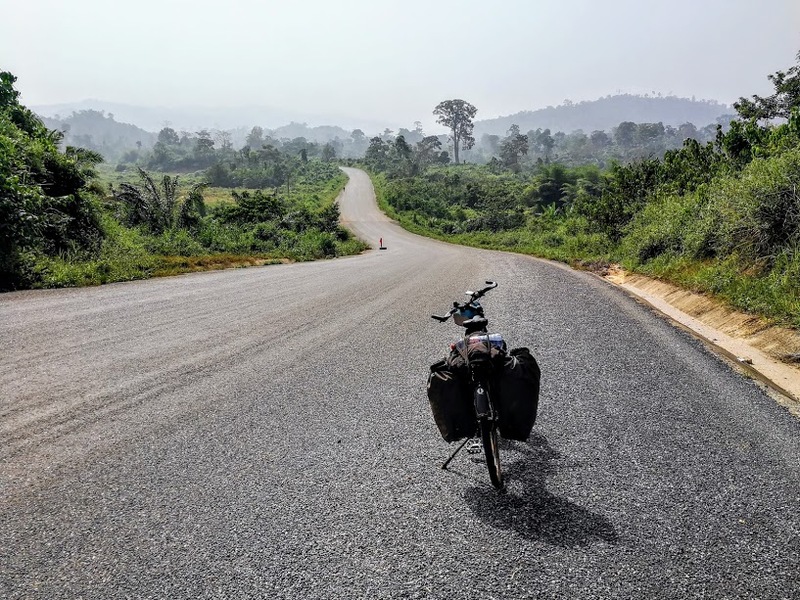 First, I cycled towards lake Volta. A very straight road, with sand-covered plants on both sides, leads there. I camped wild for two nights and only saw a handful of people. 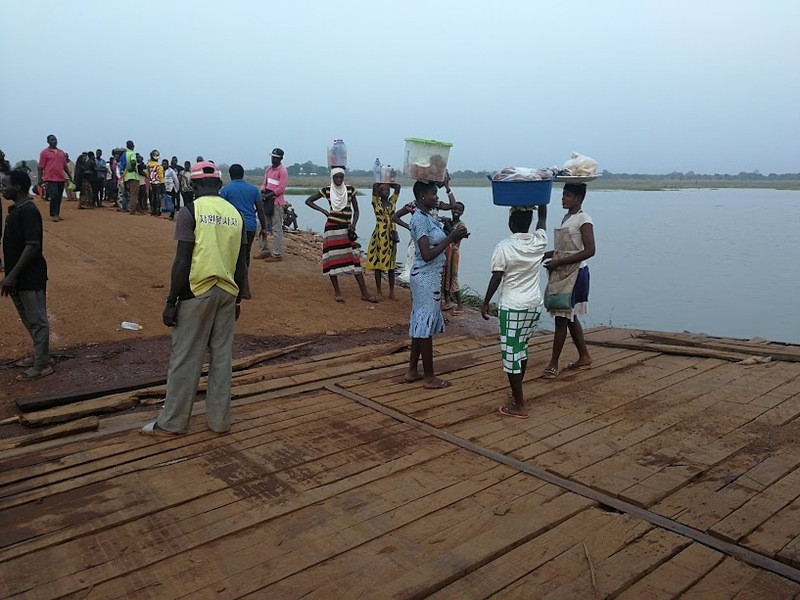 This is a picture that I took on the way to lake Volta, but I have witnessed similar scenes in Senegal, Mali, and Burkina Faso. 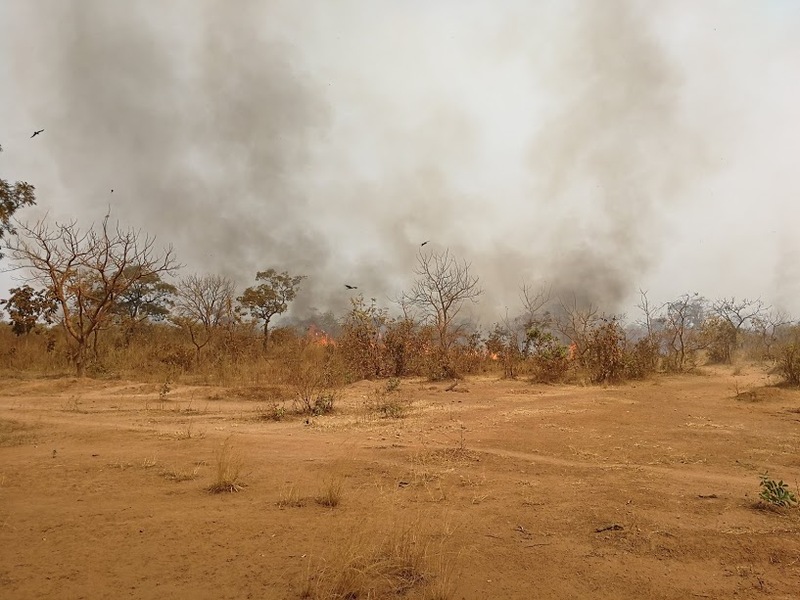 During the dry season farmers set fire to dry grass to clear the land for agriculture. Predator birds circle around these fires, hoping to catch prey as animals flee the raging flames. 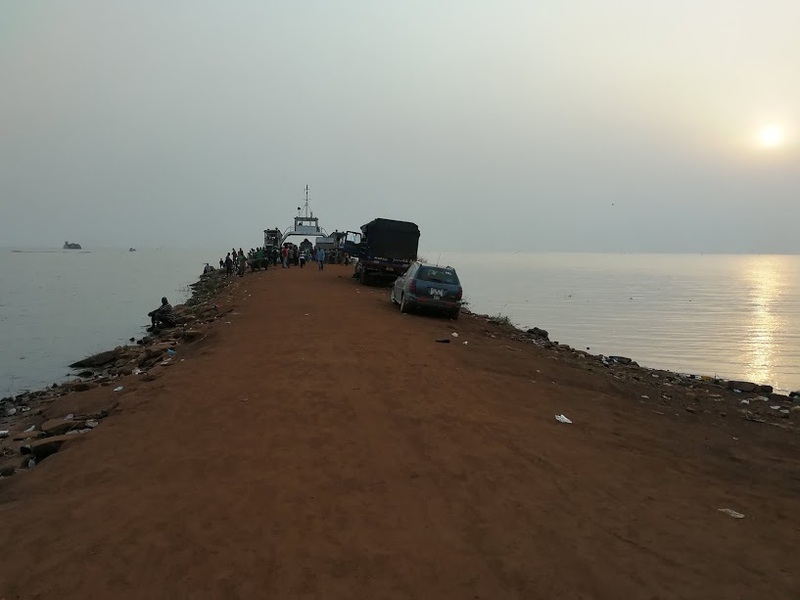 Two days after leaving Tamale I arrived at Lake Volta. Lake Volta is a man made lake, and it is 400km long. It is connected to a hydraulic dam in the South (Akosombo). The sand road that I had been cycling on for two days ends at the point of departure of a ferry. I rode onto the boat and arrived at the other side of Lake Volta an hour later, in a town called Yeji. From Yeji I continued towards Kumasi, the second largest city of Ghana. There are a lot of police patrols, and check points, on the only road between Yeji and Kumasi. I was stopped every two hours or more. The police officers never asked to check my passport or other documents. They just wanted to chat. Apparently they had been deployed after a series of armed robberies. Although it had been calm for over five weeks, I was a little scared. Especially after the men in the picture below told me “ooooh, they jump out of the bushes with AK-47’s”. For the next two days, every time I heard a goat in the jungle I panicked: “there they are“. 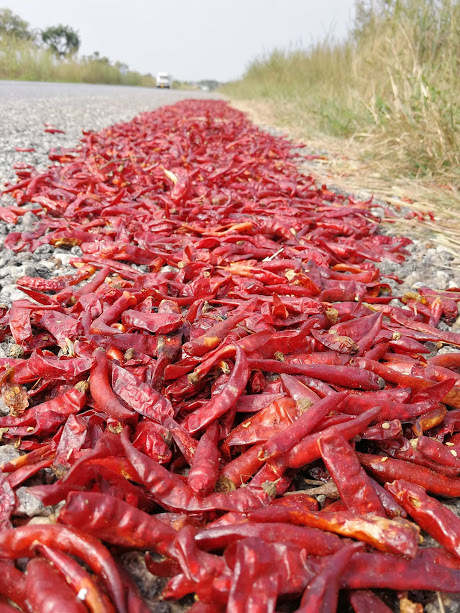 Peppers laid out to dry. Fifty kilometers North of Kumasi I entered the Kogyae Nature Reserve. 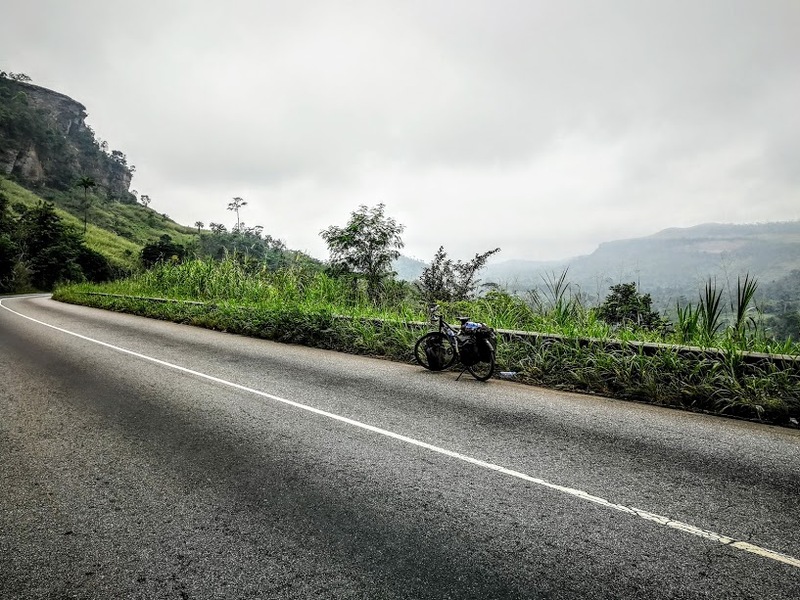 It was raining when I cycled into the valley, and I enjoyed it. It had been three months since the last drop of rain in the Western Sahara, so I didn’t bother to put on a raincoat. Kogyae Nature Reserve – home to African buffalos, African civets, civet cats, and monkeys. The next day I arrived in Kumasi, the cultural capital of the Ashanti people. The Ashanti, a name derived from the former Ashanti Empire famous for the king’s golden stool, are a matrilineal society in which ancestral descent is traced through maternal instead of paternal lines. 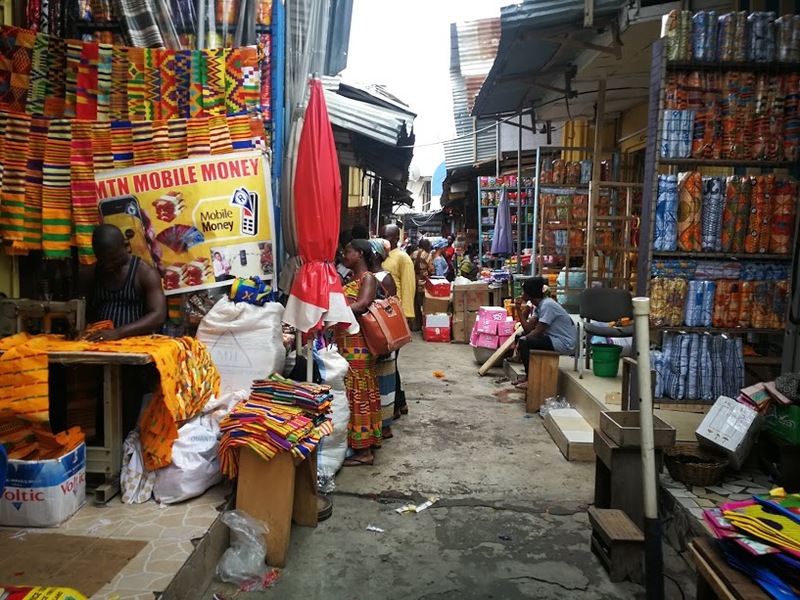 Some areas in Kumasi have a very – for lack of a better term – Western vibe. There are shopping malls, Chinese and Italian restaurants, and there’s even KFC. 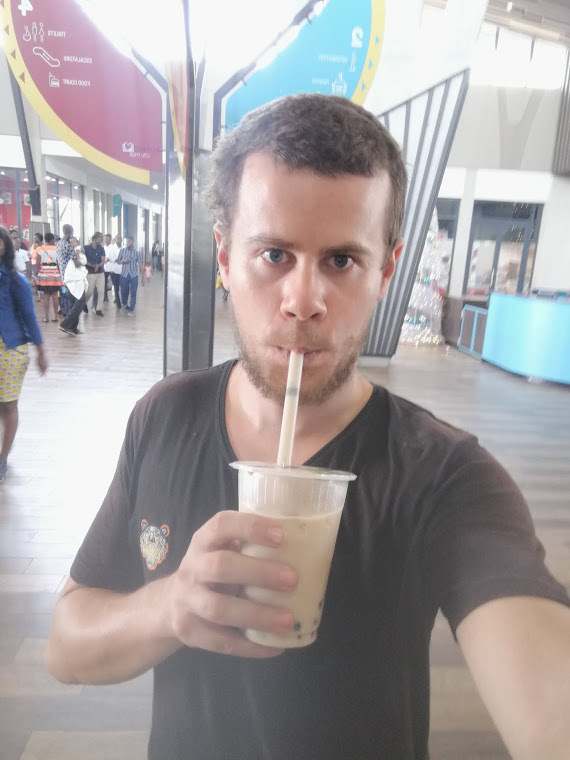 Bubble “booba” milk tea at Kumasi city mall. In the center of Kumasi lies the Kejetia market. Surrounded by tall buildings, and covered by corrugated iron roofs (NL: golfplaten), it looks like a spaceship from above. Kejetia market is the largest single market in West Africa, and is my favorite place in Kumasi to get lost in. 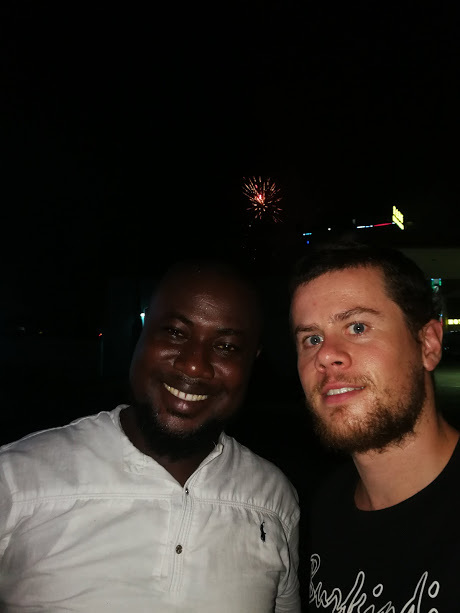 I stayed in Kumasi for six days, and I also spent Christmas there. During my stay, I hung out with Philip Oppong. Philip’s family runs a food business. They prepare food in the morning, and there is a constant stream of customers who come and buy the plat du jour until nightfall. The dishes that they sell, mostly to take away, are based on rice or fufu. Fufu is a staple food common in West-African countries. 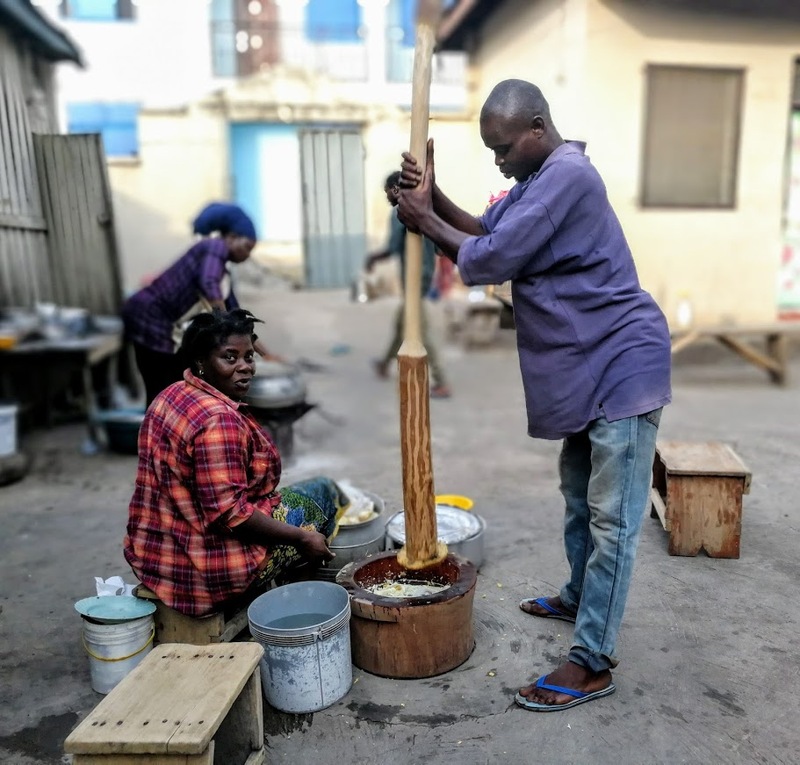 The Oppong family prepares fufu by mixing and pounding separate portions of cassava and green plantain flour thoroughly with water. I watched this process for hours. There is a certain rhythm in the pounding. This allows the person who mixes the paste, by hand, to withdraw his/her fingers on time. On Christmas eve I went to church twice. In the morning I joined Philip to the Christmas eve celebration of his favorite church: Word of Life. Word of life is one of the many American evangelist churches that have gained foothold in Africa. They preach a “back to basics” approach. They state that they wish to follow the bible only, and break with traditions that are not derived from the holy book. They are controversial (I will not give my personal view, you can google and find out for yourself). The Church of life celebration was very different from any other other mass celebration I attended before. Children played a central role. 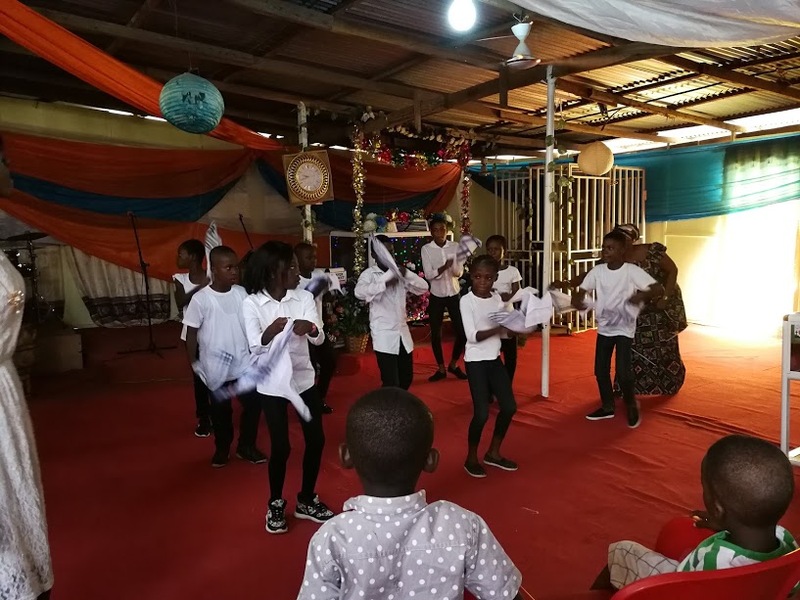 First every kid cited a bible verse (in English), followed by singing and dancing (in Twi/Ashanti). After that, there was a play about the birth of Jesus Christ and Joseph and Marie in Bethlehem, also done by children. During the dancing, and during the play, men and women threw money at the children. These were donations to the church. At the end of the service, food and drinks were offered. In the evening I went to the Catholic cathedral with Philip’s mom, to attend the midnight service. It did not differ a lot from Catholic celebrations in Belgium. It lasted longer, three hours to be precise, and there was more singing and dancing. 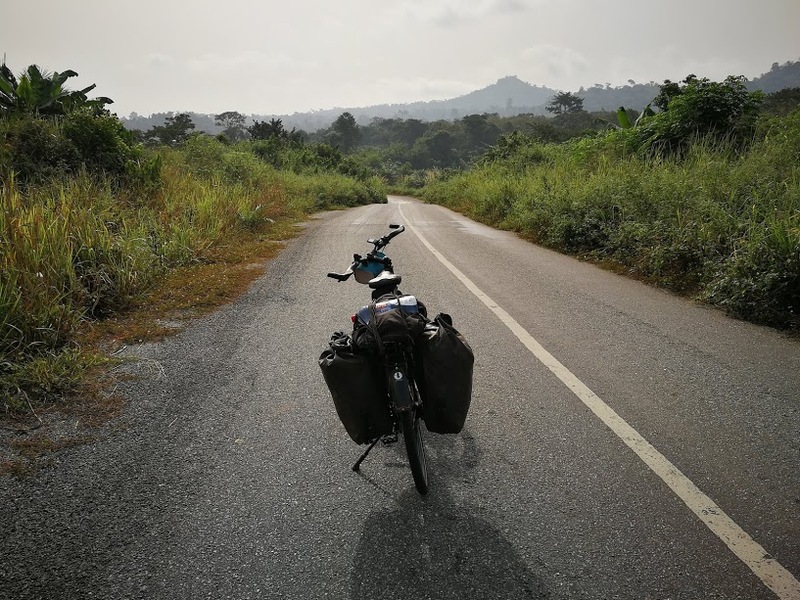 From Kumasi I cycled South towards Accra. 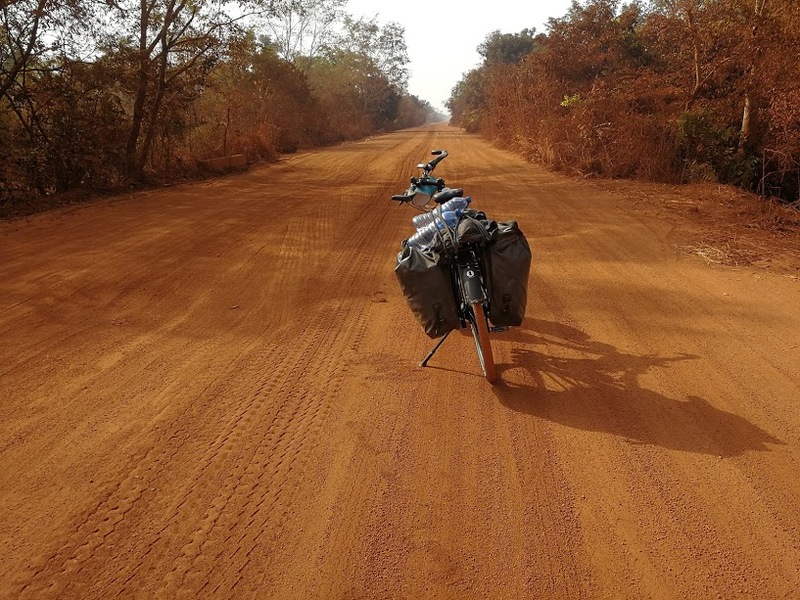 At this point I had already decided that I will fly to Ethiopia after New Year, so I cycled slowly and enjoyed the ride. 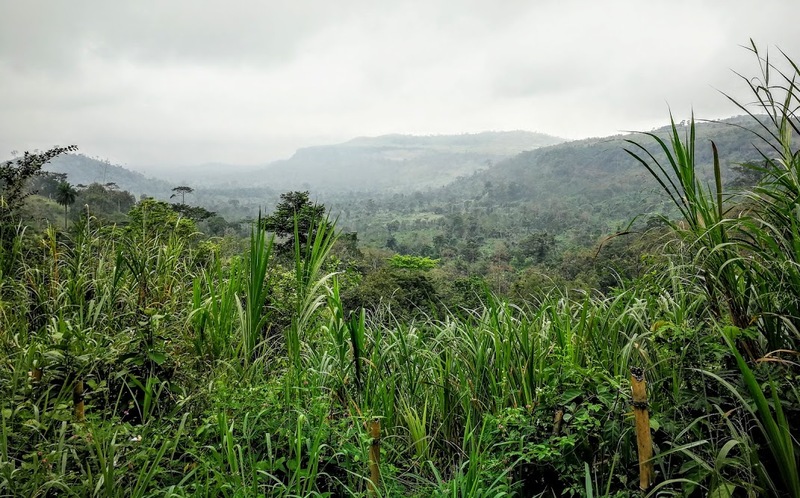 This part of Ghana is very green and humid compared to the North. 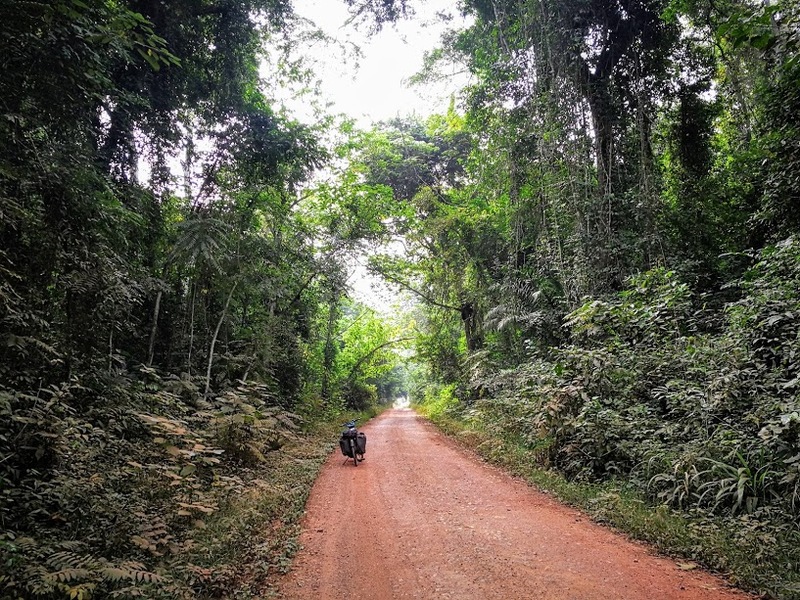 There are gold mines scattered in the jungle, therefore the B-roads are often well maintained. The mines are mostly operated by foreign companies. I googled and found out that the bulk of registered gold mines are operated by South African (AngloGold Ashanti, Gold Fields Limited…) and Canadian (Golden Star Resources…) companies. It’s important to specify “registered” mines, because there is a lot of illegal mining too. Illegal in the sense that the miners do not have a licence issued by the central administration. I was told that some local chiefs sell mining contracts to private companies – foreign and Ghanaian – without the approval of the relevant authorities. I was also told that the central authorities have cracked down on illegal mining in recent years. I met some miners who work in unregistered mines near Bosumtwi lake. They told me that they work in small mine shafts, and that they sell the gold on the black market. One of them, Emmanuel, had bandage wrapped around his head. He had been hit by a falling rock whilst digging for gold. I played a game of pool with him and we shared some moonshine (home brewed liquor)… I lost. I had bananas every day, in every village you can find women selling them. It helps against cramps too. 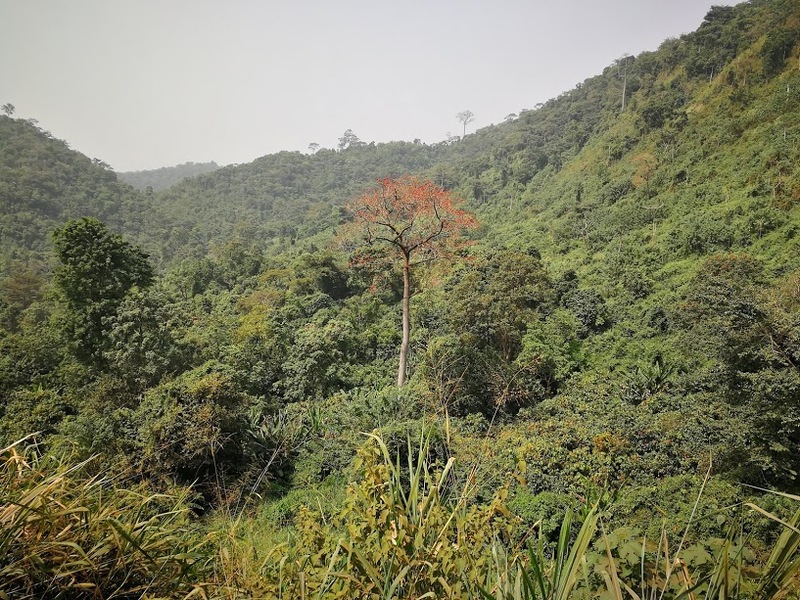 The Ashani region is subtropical, and some areas are still relatively untouched. This picture was taken in the rainforest 50km South of Bosumtwi lake. The parts that are still uninhabited feel quite intense. The vegetation is very thick, and there are all kinds of sounds coming from both sides of the path. I saw many snakes and monkeys. Ghana is also home to Rastafarians. Kwame Nkrumah, Ghana’s first president, was one of the protagonists of resistance against British colonialism in Africa, and an influential advocate of Pan-Africanism. When the “back to Africa” movement gained momentum, a lot of people of African descent in the Americas relocated to Ghana (and Ethiopia). Ghana was the first sub-Saharan African country to gain political independence, which made the country an appealing destination for the African diaspora. The movement remains popular today. I met Asiri near Accra. He asked me to safe his number under the name “rastaman”. 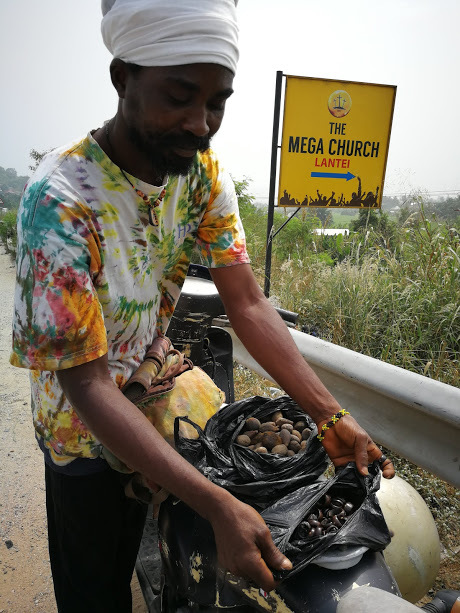 Asiri makes jewelry out of palm nuts. In this picture you can see the raw material as well as the finished products of his craft. I arrived in Accra on December 30. It was sizzling hot, as always, so I sat down in one of the air-conditioned gas stations. I met a group of retired men who were hanging out and drinking beer. One of them was Suleiman. Suleiman was born in Ghana, but spent twenty years of his life in the UK. He played football for Nottingham forest in the 1960’s, in what is now called the championship division. Suleiman invited me to his house and introduced me to his family. The next day we had “kenkey” together. Kenkey is a staple dish similar to sourdough dumpling, and is usually served with pepper sauce and fried fish. 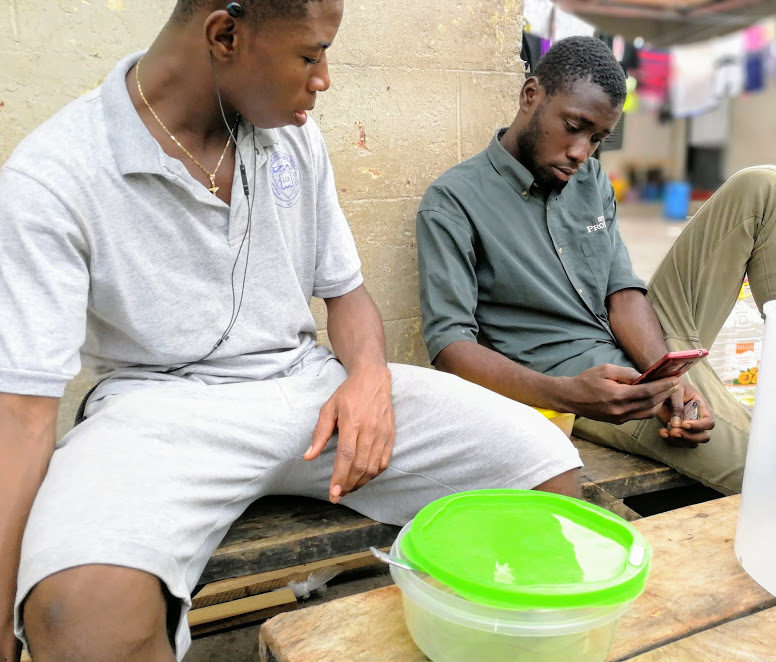 Suleiman has multiple houses in Accra. He gave me the keys to a house that is currently being renovated. Some of the windows are broken so there are tiger mosquitoes inside. The aggressiveness of African mosquitoes is hard to describe. I’d say they behave like a combination of Mike Tyson in the late 1980’s and that T-Rex from Jurassic Park. To defend myself against these monsters… my good ol’ tent. I will be staying in Accra until I fly to Ethiopia on January 11. I’m taking a few days of rest, mostly to write down some things I’ve experienced. I will also visit a handful of embassies and hope to obtain visas for the next weeks/months. Guess who else is in Accra? My friend Ebo whom I met in Bolgatanga. We spent New Year’s eve together. 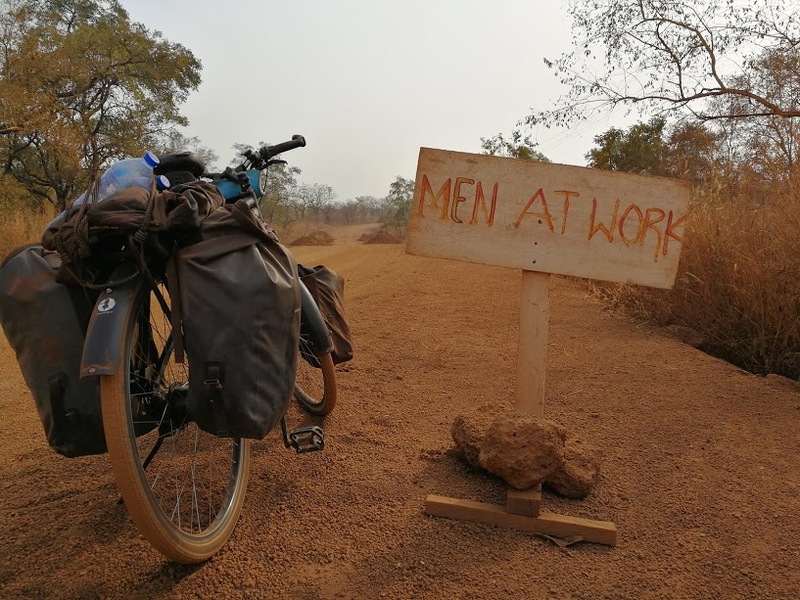 I really liked cycling in Ghana. 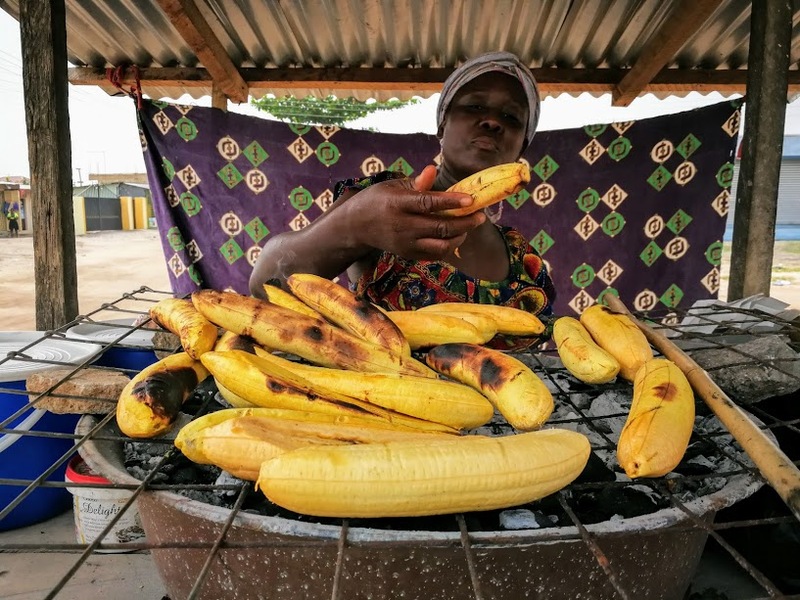 Mali and Burkina Faso were similar in a lot of ways, but Ghana has a different vibe. The coastal climate in the South creates a greener landscape than in the Sahel countries. Of course one thing always remains: kids yell when I cycle by. “Toubab”, “nasara”,”seminga”, or “obloni”, depending on what language they speak. I react to all of these names :). In a way I’m sad the first half of my cycling journey is already over. It has been an absolute blast to cycle here. 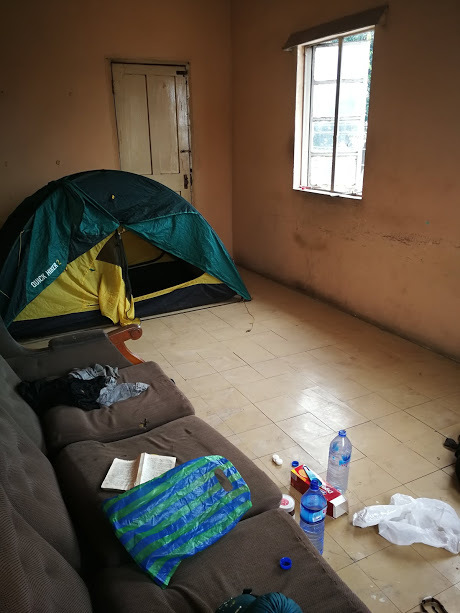 I was offered a place to sleep almost daily. I sometimes stayed in guesthouses just to get some rest. Being invited by families to stay the night is great, but I would always stay up late and talk, and not get enough hours of sleep. Sounds like a first world problem doesn’t it? I’ll keep you posted about Ethiopia! Al wat laat, maar we wensen je een Gelukkig Nieuwjaar. Proficiat dat je nog op schema zit en we wensen je veel moed om de tweede helft van je tocht tot een goed einde te brengen. Veel groetjes en hou het veilig. Ook van ons een Goed Jaar gewenst en nog een gelukkige verjaardag met terugwerkende kracht! thanks for the update. As always fascinating reading. While the scenery is changing, your “fil rouge” are the many encounters and particularly the openness with which you dive into them. Glad and sad to hear you are skipping the RDC. We hear also from our Blik op Afrika partner there that the situation is very tense. Best wishes for the new year and of course all the best on the continuation of your journey, for you and your bike. Leuk om te lezen. Toy toy met het verdere verloop van je tocht. Be safe. Oude unif vriendin van je papa. Ik geniet met volle teugen van je mooie reisreportage en foto’s, die mij doen terugdenken aan mijn vroegere ‘reisexploten’ in Afrika! I, too, feel kinda sad you are at the half-way point of your trip…. 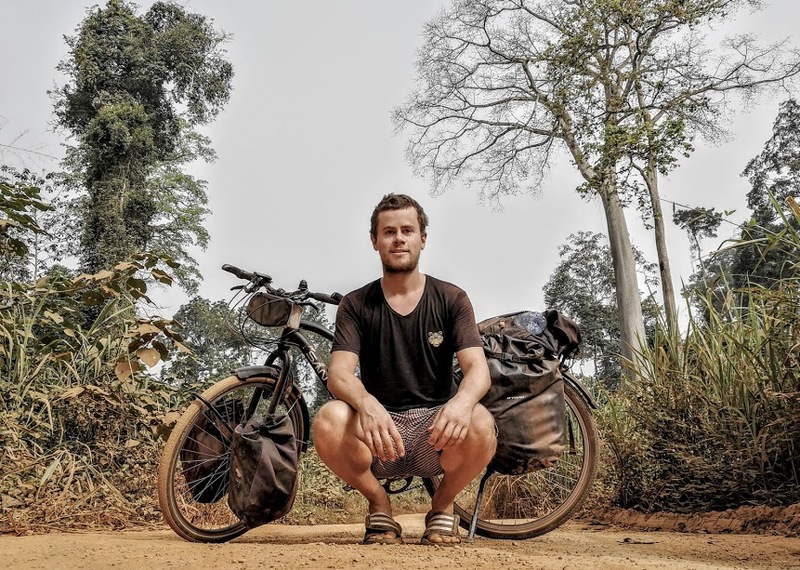 I already imagine missing your road reports and reliving old personal adventures through your trip… Somehow I hope you will put all of this together in some publication and let the rest of the world share in your adventures – and most of all, encourage other young people to take the road into the unknown. Wishing you and your family at home all the best for 2018! And when you make it to South Africa, have a ‘bolleke’ in ‘den Anker’ café in Cape Town!!! All the best from all of us in Singapore !! !